Arx Fatalis is a first-person RPG for Windows and the Xbox by Arkane Studios. The design was heavily influenced by Looking Glass Studios titles, especially Ultima Underworld II: Labyrinth of Worlds. Arkane originally intended it to be Ultima Underworld III but could not secure the license. 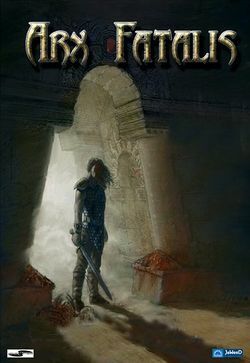 Arx Fatalis (Latin, literally meaning "fatal fortress") is set on a world whose sun has extinguished, forcing the races to take refuge in subterranean caverns. The entire game takes place underground. The player character awakens in a prison cell with no memory of who he is or what he is doing in Arx. This page was last edited on 11 September 2017, at 22:59.